continuing the tradition! 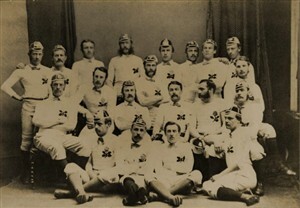 In the same year J.B.Woolley (Captain of Brighton Schools in 1867) formed another Brighton side The Wasps. played forward for England in 1872 and 1873, the first, but not the last international to come from Brighton FC!